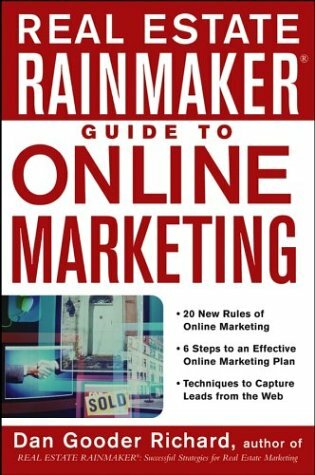 In the REAL ESTATE RAINMAKER® Guide to Online Marketing, Dan Gooder Richard offers solutions and proven ways to use the Internet to drive your real estate business. Whether you’re a novice or a veteran real estate pro, you’ll find all the cutting-edge online strategies you need to design and implement your own effective, profitable marketing strategy–with practical guidance on building a unique online brand with web domains, websites, and e-mail marketing strategies. Full of real-world examples and straightforward guidelines, the REAL ESTATE RAINMAKER® Guide to Online Marketing will help you generate more leads and more business than you ever thought possible!